The laconic Barry Crump, who died in 1996, began writing humorous sketches of life as a government deer-culler and pig hunter, publishing these as A Good Keen Man in 1960. By 1992 his New Zealand book sales were estimated at more than a million copies. As well as a bestselling author, Crump was an actor, television personality, poet, radio commentator, traveller, goldminer, photographer and more. Crump wrote 24 books in his lifetime, was married five times and had six children, all sons. This rattling good yarn has now been made into a major movie: Hunt For the Wilderpeople, directed and written by Taika Waititi, and starring Sam Neill and Julian Dennison. 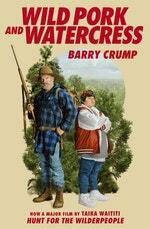 Be the first to find out about Barry Crump.